Hey there! If you're reading this, then I'm gonna assume you're interested! Cool! Just PM me here in Deviantart, or email me through dupax_ango@yahoo.com or through any of my other social media accounts. Turnaround time: around 2 weeks. Depends on your preferences in details and so on. Heck, if you want, I'll even send you the original lineart on paper! Quote??? : Early bird IS the worm! Favorite visual artist Samwise Didier, Stanley Lau Favorite movies saving private ryan, 300, Troy, Kingdom of Heaven, 500 Days of Summer Favorite games Life Is Strange, Bioshock Infinite, HalfLlife series, Warcraft 3, DOTA, DOOM, Prince of Persia series,The Witcher (1 to 3)... Favorite gaming platform PC Master Race Tools of the Trade Pen & Pencil, Acrylic, Water colors... Other Interests drawing & painting. Some digital. Share, fave and watch my channel and share and spread the word on this movie! Loved this movie. It's been a while something really got my brain sparking w/ inspiration again. Here's to hoping it will get a sequel in the next 2-3 years. 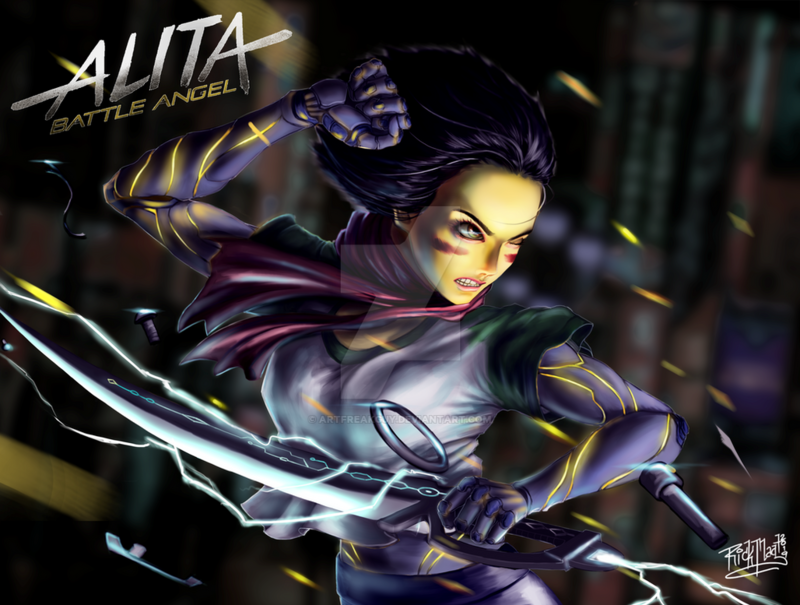 Alita: Battle Angel. Set several centuries in the future, the abandoned Alita is found in the scrapyard of Iron City by Ido, a compassionate cyber-doctor who takes the unconscious cyborg Alita to his clinic. When Alita awakens, she has no memory of who she is, nor does she have any recognition of the world she finds herself in. As Alita learns to navigate her new life and the treacherous streets of Iron City, Ido tries to shield her from her mysterious past. 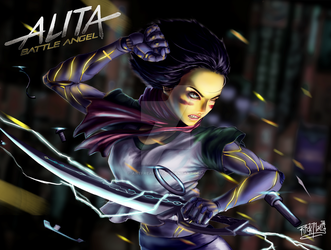 Another fan art for the awesome and inspiring movie, Alita: Battle Angel. I know financially the movie doesn't really look to set itself up for a sequel, but here's to hoping there is one! 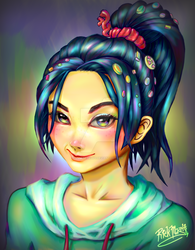 You also want to grow as an aspiring digital artist/illustrator just like me? Then let's share ideas, resources and tips together! Leave a like, share and watch! This is an art work for the movie Alita: Battle Angel coming soon this February 14, 2019. I saw the awesome early release last February 05 and I can tell you, it was AMAZING. Instant fan right here! I have a video here (youtu.be/ZR8F5iQ2ibo) that shows the process on this piece and also as a tribute for such an amazing big screen adaptation to this manga. Kudos to #20thcenturyfox #jamescameron #rosasalazar and #robertrodriguez ! I'd say #alita is a must see and best sci-fi action-adventure movie of the year so far! 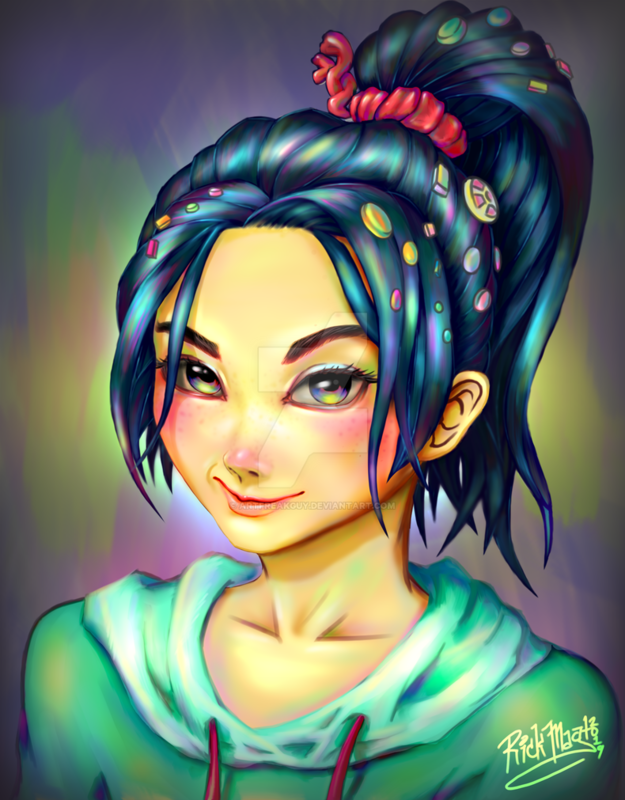 Vanellope Von Schweetz (All grown up!) from the movie Wreck-it-Ralph (Ralph Breaks the Internet). You have an awesome gallery yourself!